Arthur Jacob Conrad Huenergard, born in Waterloo June 16, 1893 was a charter member and first president of the Waterloo Tennis Club. 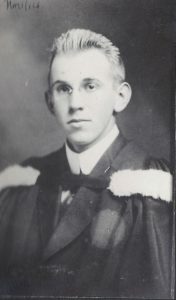 The only child of Conrad and Wilhemina, Arthur attended the University of Toronto where he studied Commerce. 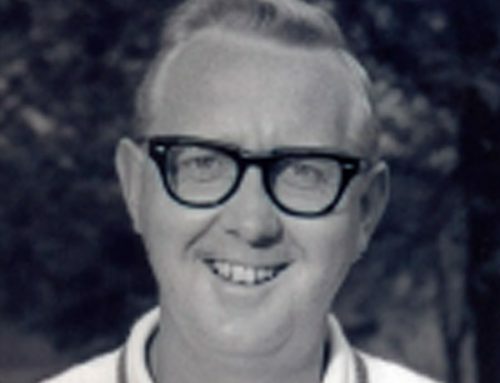 He was a member of the 1914-15 varsity swim team as well as a keen tennis player. After his graduation in 1915, he returned to Waterloo to work at the Dominion Life Assurance Company where his father had worked as a clerk. Arthur stayed for only two years but in 1925 he returned to Waterloo and Dominion Life where he remained until retirement at the end of 1958. During the time away from Waterloo, he gained his Fellowship from the Actuarial Society of America in 1919. Arthur married Ada Snider in 1926. They had no children. At retirement, he had held the senior actuarial position with the company for over 18 years. He was a Fellow of the Society of Actuaries and also of the Canadian Institute of Actuaries. 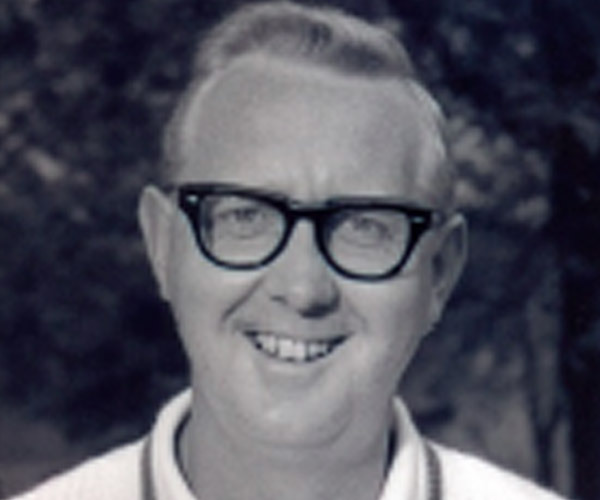 Arthur was a member of St. John’s Lutheran Church, the Masonic Lodge of Waterloo and a charter member of the Waterloo Young Men’s Club. He also served a term as Chair of the Waterloo Park Board. 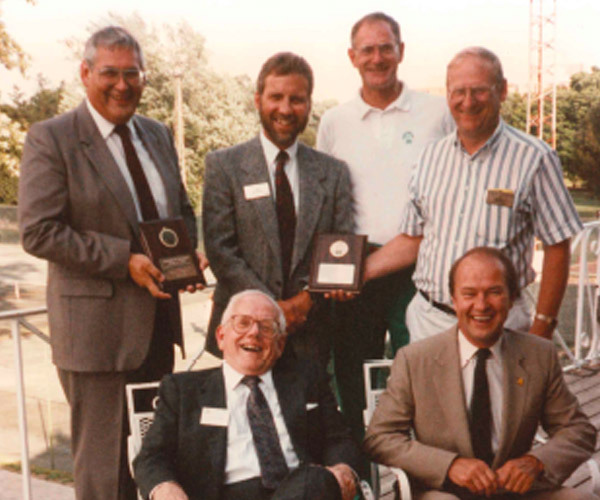 This was the committee responsible for the management of Waterloo Park – the one that years earlier in 1915 the enterprising Arthur and Allen Scheifele approached to ask for two clay courts to be constructed in the park. Waterloo Park – Photo from Marg Rowell’s book, Welcome to Waterloo. As early as 1900 there were two public grass courts in the Waterloo Park and this was where Arthur Heunergard played his tennis. In 1914, he lost in the quarter finals of the Waterloo County Tennis Tournament which was played on six new clay courts owned by the Mutual Life Assurance Company. These clay courts however, were for the company’s employees only. A true competitor, it is reasonable to surmise that it was the need to practise on clay that prompted him and Allen Scheifele, another tennis enthusiast and later to become first vice-president, to approach the Waterloo Park Board on March 31, 1915 to build two new clay courts in the park. The Waterloo Park Board granted the request but at a site selected by the Board and at the club’s expense. There would be a nominal rental fee and the expense of maintenance was to be borne by the club. 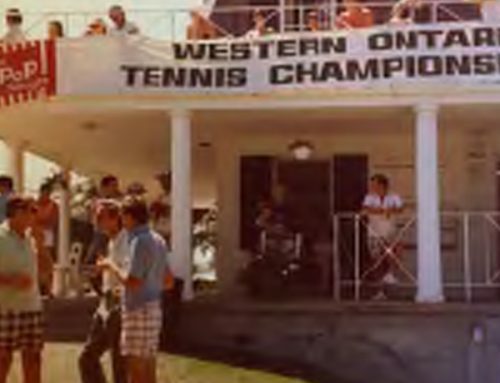 This was the beginning of the Waterloo Tennis Club. Money was raised by issuing ten dollar share notes to a dozen or so members. The club began work immediately with Arthur and Harvey Gleiser Sr. trucking the clay in from Bridgeport. 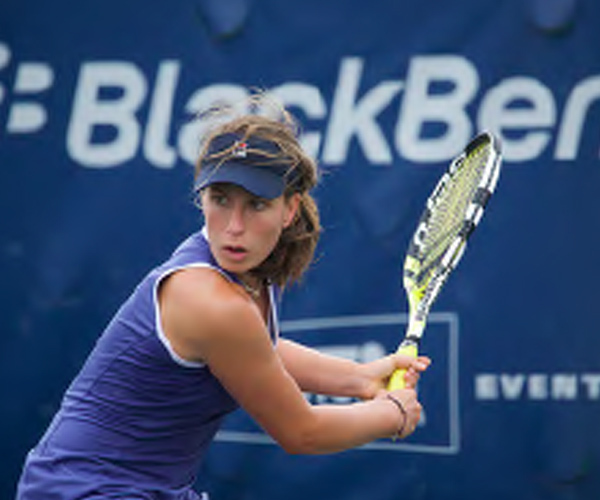 By July the courts were ready and the fledgling club held its first tournament. Fifty-seven members from the Baden and Waterloo tennis clubs took part in the six events: mixed doubles, men’s and women’s doubles, men’s and ladies’ singles, and men’s novice singles. The club held its first annual general meeting July 1916 at the office of the Dominion Life Assurance Company. 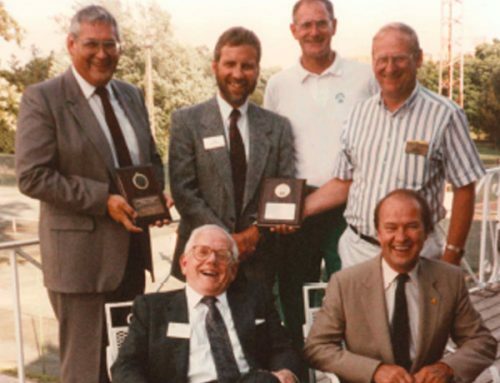 It was at this meeting a formal slate of officers was elected: President, Arthur Huenergard; Vice-President, Alan Scheifele; Secretary-Treasurer, Herb Schaus; Assistant Secretary, Rose Moogk; and Committee of Management, Messrs. Leo Henhoeffer, Fred Snider, M. Connor and E. Meyer. For reasons unknown, the Waterloo Park Board closed the courts at the park later that same year. For the next ten years club members resorted to using other courts such as those at the Church of the Holy Saviour, St. John’s Church, Waterloo Seminary, Kitchener-Waterloo Collegiate and at the old Waterloo Rink, now the site of the Perimeter Institute for Theoretical Physics. It wasn’t until 1927 that two members, E.G Schafer and Elmer Stouffer, on behalf of the players, approached the Waterloo Park Board again to establish a permanent location for the club. The application was successful and the club set about rebuilding on the original clay courts of 1915, the present site of WTC. Financial support came from Dominion Life Assurance Company to pay for capital costs such as clay, fencing and nets. Courts 3 and 4 were built over the following two years with money raised from membership fees and fund-raising social events. Dominion Life provided a loan in 1933 for floodlights for courts 1 and 2. The majority of the members at the time were employees of the company. With the reorganization in 1927 came a new slate of officers: Wilfred Hilliard was elected president and Arthur, a member of the executive committee. Arthur however, was to make his mark on the club with another ‘first’- this time as the winner of the Club Singles Championship at its first annual tournament. 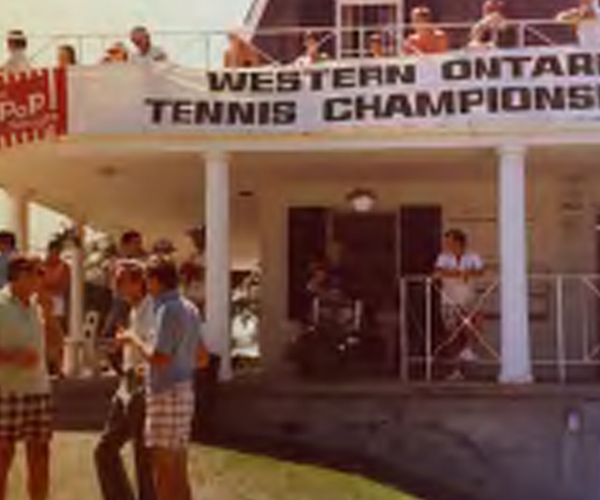 Written by Pat Craton from files and research material gathered by club member Mary Liz Hearn, including Mary Liz’s, A History of the Waterloo Tennis Club.